LOS ANGELES – When Elizabeth Ching took off her headset, she was panting. She had just finished playing a new virtual reality boxing game called “Creed: Rise to Glory” at E3, the nation’s biggest video game convention, and she’d knocked her computer opponent out cold. With the exception of a few boxing classes she’d taken, this was the closest Ching had come to fighting in a boxing match. 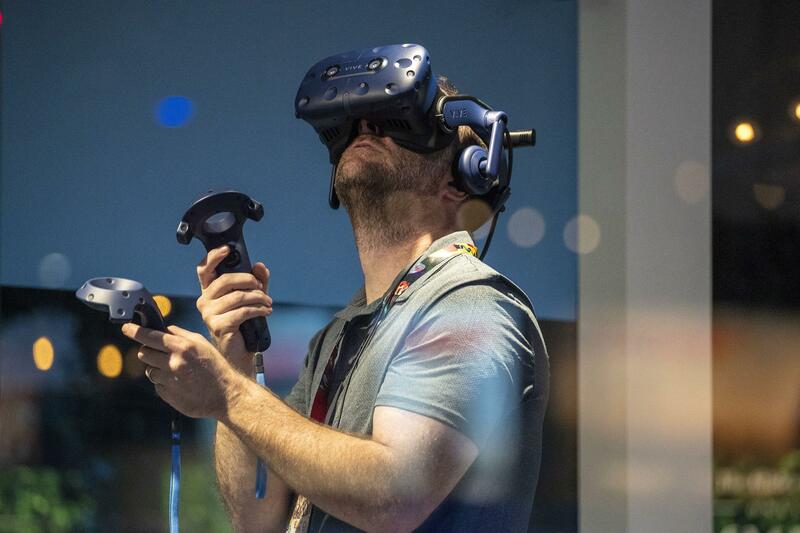 Beyond the new game announcements and software improvements, if there’s anything that this year’s Electronic Entertainment Expo confirmed, it’s that virtual reality in the $116-billion worldwide gaming industry is here to stay. The platform is in its infancy – it’s been available for sale to the masses only for about two years – but it’s continuing to take giant steps. With showings from VR makers such as Facebook’s Oculus and Sony’s Playstation VR, developers are banking on VR’s growth. Sony alone showcased 14 games for its VR device at the conference, which wrapped up Thursday at the Los Angeles Convention Center. Lewis Ward, a video game analyst at market intelligence firm IDC, said VR headsets haven’t met sales predictions so far, but as the experience improves, sales will go up. “What we found is that people like the action and the VR is amazing, but some of those drama scenes where you’re one on one with a character makes the ‘cut scene’ – something you may want to skip in a traditional game – so much more immersive,” Oates said. Published: June 15, 2018, 6 a.m.